I was challenged to use a new product in a recipe for a contest. The product is called Quality Yacon Syrup and it's a natural low-glycemic sweetener used in baking much like honey or agave. Pure yacon syrup assists in weight loss and slimming waist sizes, regulating blood sugar, and increasing daily fiber intake. This 100% Pure Yacon Syrup is created by Quality Life Essentials and is available HERE on Amazon. I created my Banana Bread Muffins Recipe using Quality Yacon Syrup and the muffins turned out incredibly delicious, so I wanted to share it here with you too. YOU can enter the recipe contest too if you create a recipe using Quality Yacon Syrup. Click HERE to find out more about the contest on their Facebook page! Preheat oven to 375 degrees F. Remove banana peels and break bananas into pieces in a large bowl, then mash bananas well. Add 3/4 c sugar, 1/4 c Quality Yacon Syrup, 1/2 c melted butter. Mix well, then add 1 tsp salt, 1 tsp baking soda, and 2 c white flour and stir well. Spoon batter into 12-cup muffin tin and bake in oven at 375 degrees F for 20 minutes. Cool on wire rack. Notes: Quick, simple and delicious. I had some batter left over so I made a tiny loaf of Banana Bread for my neighbors. I let it bake for 45 minutes at 350 degrees F.
Don't forget to enter the Quality Yacon Syrup recipe contest! Although it may appear benign, your swimming pool is a watery habitat that requires constant maintenance. From clean water to perfect chlorine levels, pools need a particular chemical equilibrium for everyday use, especially in the summer. If you discover that the pool appears murky, or the pump doesn't turn on as usual, you can pinpoint some of these issues yourself. Your pool pump creates a current to move all the water through the filter in a controlled manner. This motor is typically located outside, affected by hot days. If the pump overheats, it will shut off to preserve the internal components. The pump can even trip a circuit breaker, if it is electrically shorted. Because of its internal electronic components, a faulty pump may just need a capacitor that failed with age or wear. 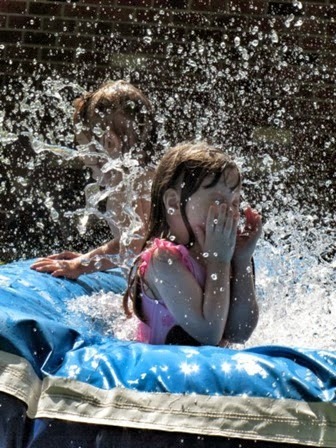 A pool pump repair is not usually an expensive endeavor, if you catch the issue early. Ignoring a faulty pump may cause more internal parts to fail, requiring extensive repairs. A pool needs a steady pH level to fight off any algae growth. If your pH levels fluctuate into highly acidic or basic levels, the water looks cloudy. Even the pump and filter cannot remove this watery haze. It is best to call a professional pool service professional to determine proper pH levels. They can safely alter the water back to a perfectly clear blue. Many pool owners only run their filters part of the day, or not at all during cold weather. However, you need to run the filter about 8 to 10 hours a day to remove debris from the water. If you notice that debris is constantly floating in the pool, run the filter more often, even in the off-season. At some point, however, your filter may become clogged. A clog stops any more debris from being trapped, allowing it to remain in the main pool area. About once a year, or more frequently for busy pools, backwash the filter to remove any trapped debris. Water running smoothly through the system will keep the debris from piling at the bottom of your pool. At Your Pool Service is a professional pool repair company, ready to serve all of your water needs. From pump replacement to filter servicing, they provide basic and advanced services for the comfort of all your swimmers. A clean pool keeps everyone active and excited about summery days. 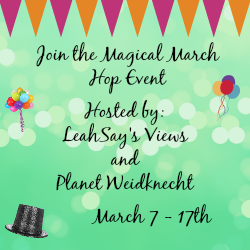 Link up your giveaways and enter to win some fabulous prizes! Preheat oven to 375 degrees F. Cut 2 large sausage links into slices, then cut each slice into four pieces. Brown 5 minutes in skillet on stovetop. Add 1/2 cup green peppers and 1 cup cauliflower. Brown 5 minutes more. In a large bowl, whisk together 8 eggs, 1/2 cup milk, 1/2 tbsp olive oil, 1 tsp baking powder, and a few shakes of both salt and pepper. Spray a 6-count muffin tin with cooking spray, then evenly distribute the sausage and the vegetables into each of the six muffin cups. With a large spoon, evenly distribute the egg mixture over the top of the sausage and veggies. The eggs will run over and around the sausage and eggs. Top each egg muffin with a small amount of shredded cheese (I used four cheese Mexican) and place in preheated oven for 20 minutes at 375 degrees F.
Remove from oven and let cool a few minutes. Remove each egg muffin from the muffin tin with a fork and serve! Notes: Feeds six. Refrigerates well and reheats in microwave well. I am so excited to be going on my first cruise! 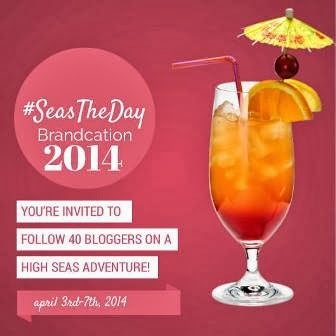 I'm joining up with 39 fabulous bloggers (that I've never met) to cruise from Florida to Cozumel, Mexico and back. 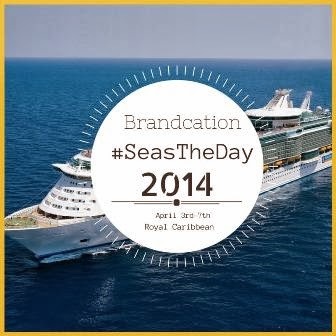 We'll be boarding Royal Caribbean's newest ship, the Liberty of the Seas, from April 3rd-7th for the #SeasTheDay Brandcation. I plan on exploring every inch of that big boat with my new friends! 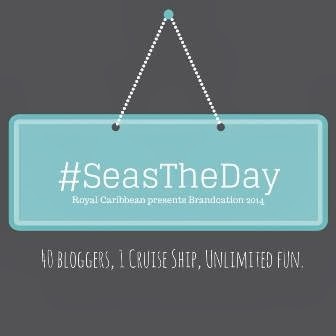 I can hardly believe all the activities that can be crammed onto a cruise ship! There are multiple swimming pools, a surf park, restaurants, a health spa, a rock wall, a boxing ring, a library, a fitness center, an ice skating rink, a casino, a karaoke club, a disco, a theatre with live shows, a movie theatre, and so much more. Plus, when we dock in Cozumel for the day, there are dozens of great excursions available like sightseeing tours to see Cozumel or the Mayan Ruins, kayaking, snorkeling, beach fun, horseback riding, scuba diving, adventure park fun, and even encounters with sea life. I've already decided my Mexico excursion will be swimming with dolphins. It's something I've wanted to do all my life and this is the perfect opportunity! 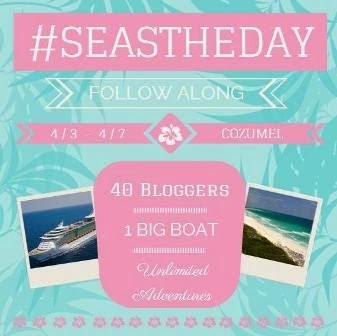 I hope you'll follow along during April via my blog and social media accounts as I take on my biggest blogging adventure to date to show you all the wonderful things to do on a fabulous Royal Caribbean cruise! Chocolate makes a great gift, no matter the holiday or occasion. For the ultimate chocolate experience, zChocolat creates luxury gifts that go above and beyond. Their fine chocolates are created by World Cahmpion Chocolatier, Pascal Caffet, and shipped direct from the south of France. Mine arrived wrapped in beautiful paper and a bow with a wax seal. I opened the wrapping paper to find a gorgeous mahogany box, imprinted with hearts on top, plus a gold closure tab and a nameplate on the front with my name engraved upon it. Many of the zChocolat gifts can be personalized and customized. It's a beautiful treasure box that I will keep long after the chocolate is gone (which shouldn't take me long). zChocolat creates their all-natural gourmet chocolates using high-grade single-origin couvertures from Venezuela, Ivory Coast and Bolivia, rich ganaches prepared with the highest quality butter and cream from Normandy, and finely textured pralines combining Valencia almonds from Spain and Piedmont hazelnuts from Italy. The enormous dark chocolate heart inside the box nearly took my breath away. It is as beautiful as the box (if not more beautiful). The French artisan tradition of making chocolate means each delicious recipe has a high cocoa content, 100% pure cocoa butter, low sugar, and no preservatives or alcohol. Biting into my zChocolat heart was a heavenly experience. I have never tasted a finer chocolate (and I've eaten a lot of chocolate in my life). It's absolutely, incredibly delicious. If you need chocolate gift ideas for someone (even if it is for yourself) for any occasion, I highly recommend zChocolat! Visit www.zchocolat.com to see all their exquisite gifts and treats. Be sure to follow them on Facebook and Twitter so you're first to hear all their delicious news, then enter below to win the zChocolat Romantic Ruby Box! 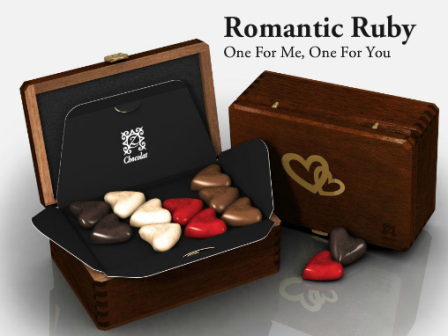 Win the zChocolat Romantic Ruby Box! To enter, just fill in the Rafflecopter form below. You must be at least 18 years old and reside in the USA. Only the first entry is mandatory; bonus entries increase your chance to win. 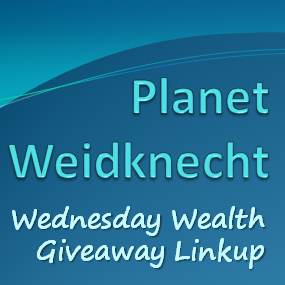 Giveaway ends at midnight on 3/9/2014. Good luck! Any glass bottle can break, but drinking from plastic means you have to worry about chemical leaching. With a Pure Glass Bottle, you're getting the reassurance of safer drinks and even if you drop and break it, their patent-pending safe shell coating will hold everything together so you can safely pick it up and put it in a recycling bin! Available in three great bottle shapes and sizes, Pure Glass Bottles will meet all your drinking needs. I've been using them for weeks and they are great! I love the wide-mouth opening on the Pure bottles because I can add ice cubes, tea bags, or fruit wedges to my water. The lids stay securely closed and everything is easy to wash. The tallest bottle has a twist-off lid with a handy carry loop. The two smaller bottles come with a flip-top lid! Think how much money you'll save by refilling a bottle instead of buying a new drink at the corner store. They even offer a Juice in the Box cup with a built-in straw so you can add healthier juices to your children's lunches or snacks. Annually 3 billion pounds of plastic water bottles are created, but by using a Pure Safe-Shell Glass Water Bottle you can help leave a smaller waste footprint. Visit www.pureglassbottle.com to find the Pure products that will make your life easier! Be sure to follow them on Facebook, Twitter, and Pinterest too! A dedicated giveaway post for this event; beginning on March 7th at 12:01 AM running through March 17th at 11:59 PM. Make sure to set your giveaway forms accordingly; if your giveaway ends early you're loosing potential followers. If you have doubts about setting your giveaway form, please ask. Theme: Anything Goes with the exception of… EVERYTHING must be family friendly. When in doubt, ask. 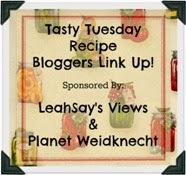 Any blog without a post up by 10 AM (SHARP) March 7th, will be removed from the linky. Once your giveaway has been corrected of missing linky, picture or no post at all, it can be added back to the bottom of the link. Sign ups for this event close on March 4th. We are not requesting you post in advance of the giveaway hop, however if you'd like to add the button to your side bar and share this post so that others may join in the fun please do. More bloggers means a bigger reach for you and your sponsor.